Super solid and reliable 3' hunter. Many blue ribbons and tri-colors in the Younger Children's Hunters including Champion at WEF and a win in the Children's Hunter Classic at the Kentucky Summer Classic. No spook, easy prep. Good Mover and Jumper. 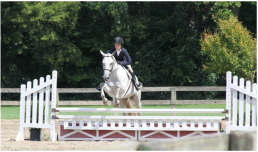 Currently showing in the 3'3" junior hunters. Great first horse for Short Stirrup to Pre-Children's Hunters. Ana is the sweetest, easiest going mare in our barn. 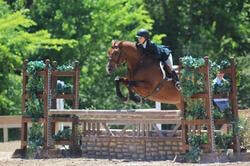 She is the ultimate Pre-Childrens or Pre-Adult Hunter and is easy enough for a very novice rider. She jumps great and always gets a top ribbon in the hack. She is not spooky and is very straight forward.